Thanks for taking some time to get to know me. 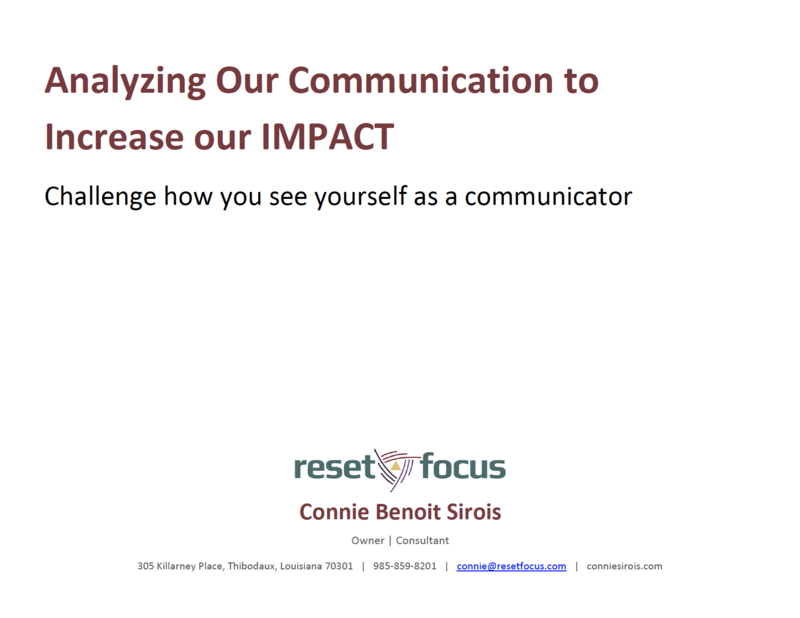 I’m Connie Benoit Sirois, owner of Reset Focus, founder of The Impact Directive, and author of The Impact Directive: How to Use Your Communication to Positively Impact Yourself and Others and Why It Matters That You Do. Helping people truly honor others through their communication is what I love. 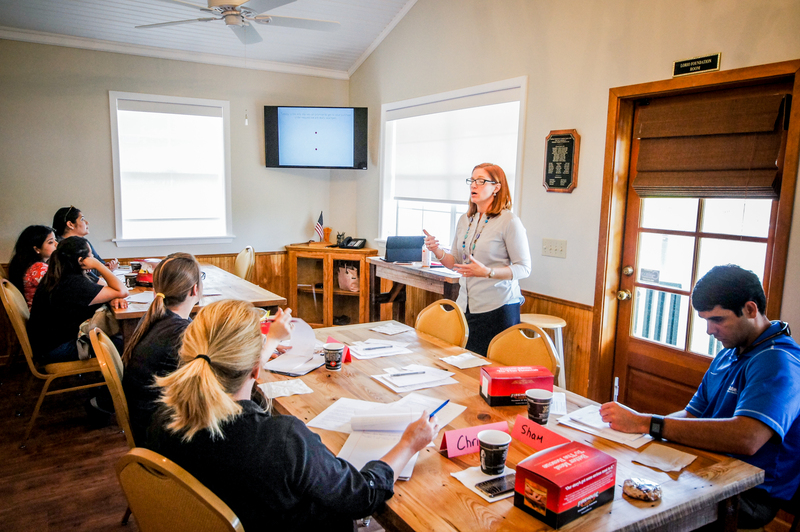 Using foundational communication concepts, I help people become better at both intra-personal and interpersonal communication. We live life with other people, so let’s honor those people by blessing them with stellar communication. In doing so, our lives will be blessed too. Connie is a mom of 3, wife, business consultant, author, retired university instructor, and happily busy woman. She taught at Nicholls State University in Thibodaux, Louisiana, for over 20 years, focusing on business communication, rhetoric, and several levels of composition. 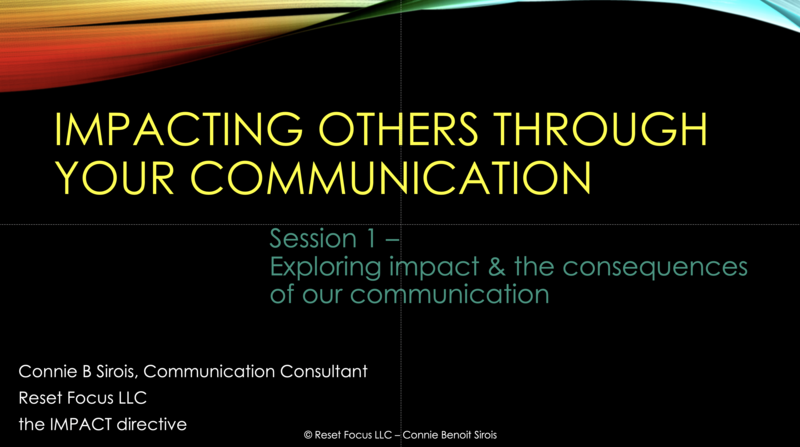 Connie launched Reset Focus LLC as a life and career coach in 2013 and developed several programs and offerings that led her to her current work on our impact on others through our communication (the IMPACT directive). 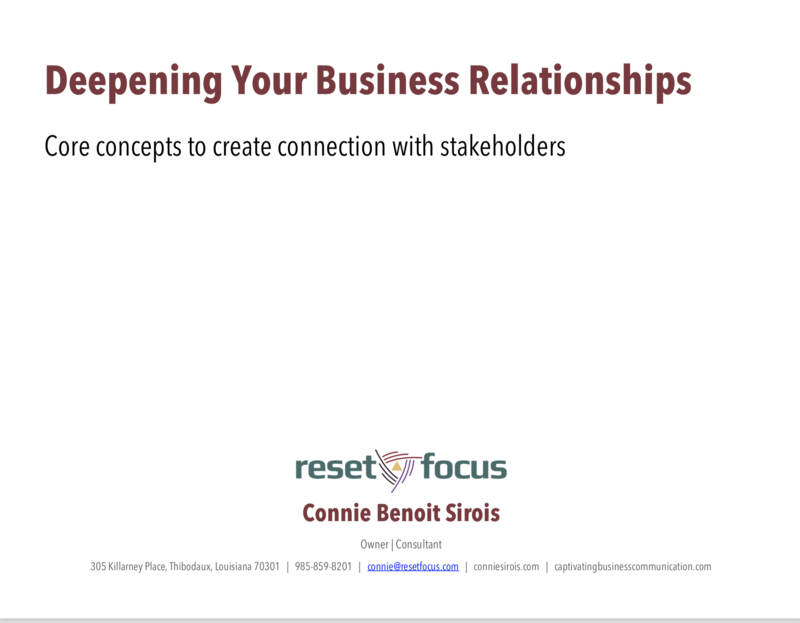 A year after launching Reset Focus, Connie began working as a business consultant and quickly found a tie between what she was doing for her life clients and what she was seeking for her business clients. Now, in her consulting, Connie is helping people create connections with others by creating communications that honor and positively impact. 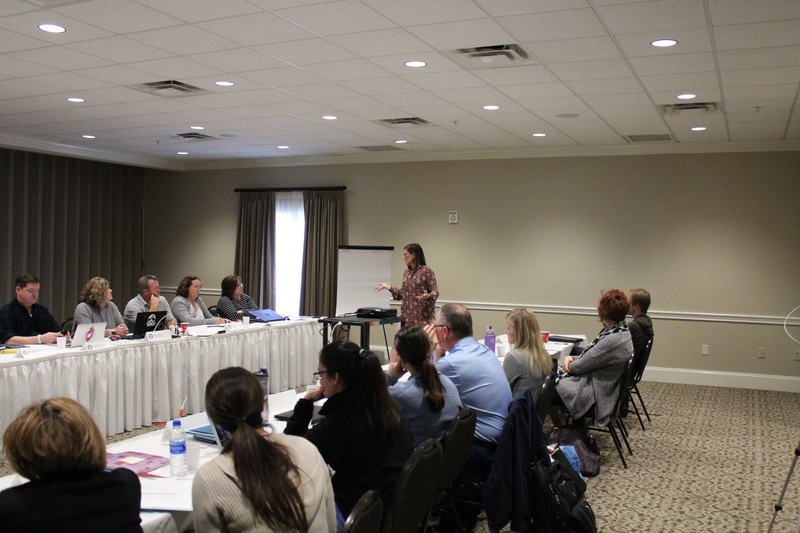 By focusing on both intra-personal and interpersonal communication concepts, her clients create communications that are impressive, impactful, and engaging. In her life coaching, Connie focused on helping women find control by guiding them to productive intra-personal communication. She now does this work as part of her communication consulting. Great internal communication is a passion for Connie because in 2007 she lost control of her self-talk after her mother died. The journey of learning to honor herself and the discovery of how that manifests in our external lives truly drives her career today. 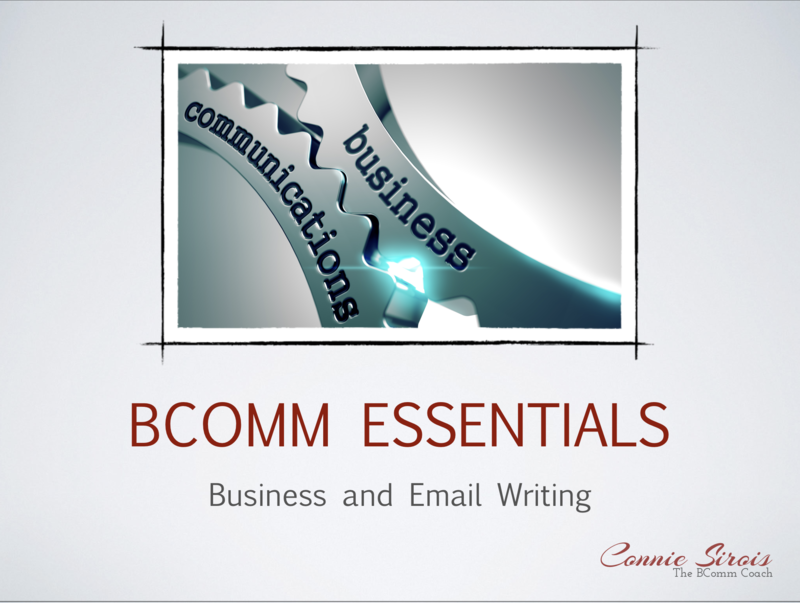 Connie is happy to now officially call herself an author, and she also speaks and trains on topics related to using communication to have positive impact on others. 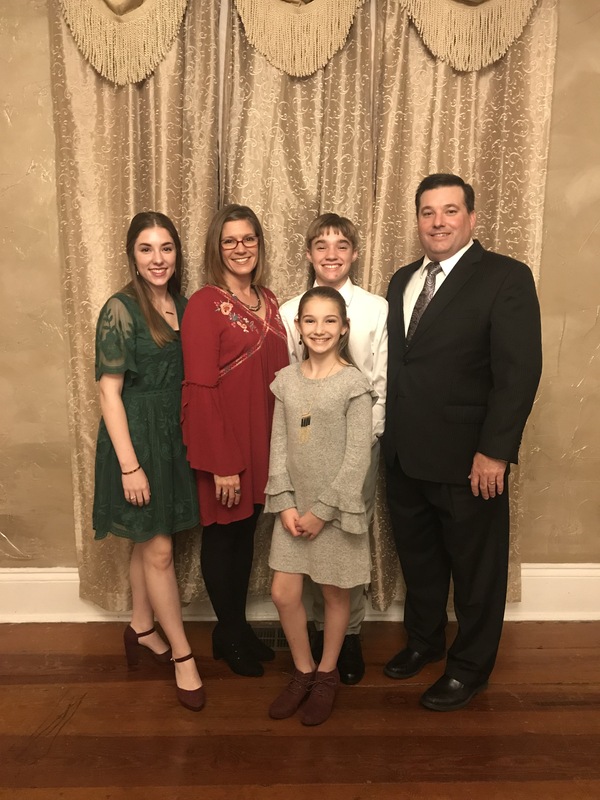 Connie and her college sweetheart, Kirk, live with their children in Thibodaux, Louisiana. Need some words on communication & leadership?